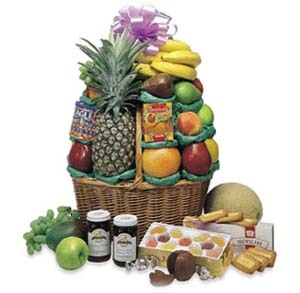 When you send food gifts to employees, clients, customers or valued business associates, you want them to be the best possible quality. After all, in the eyes of our recipients, each gift represents you, your taste and your standards of quality. Which explains why Pemberton Farms is a specialist in providing unique and high-quality gifts at discount prices that will surprise and please you. Not seeing exactly what you want to send? Contact us and we will help create the perfect gifts for you. Does your company need special occasion gifts, premiums or incentives? If so, our trained specialists can help you select the perfect gifts for your program. Or, you can create an exclusive, customized gift that will be yours and yours alone. To get your corporate gift program off to the right start this year, call our Corporate Gift Department toll-free at 1-800-551-7327. You can send an email outlining your needs to mark@pembertonfarms.com.